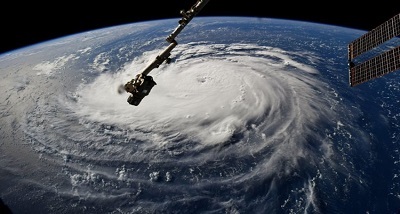 Hurricane Florence has been downgraded to a category two storm as it approaches the US but officials still warn of a disaster at the doorstep. 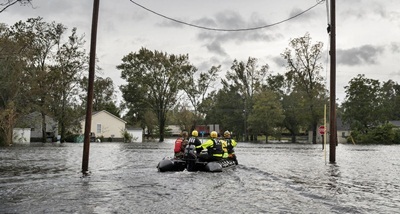 The looming hurricane's winds may have dropped to 175km per hour but its slow-moving nature could mean it lingers for days, bringing catastrophic flooding. Florence may now be heading further south, and Georgia is the latest state to declare an emergency. President Donald Trump issued a video message saying this is going to be one of the biggest ones to ever hit the country. He said protection of life is the absolute highest priority.